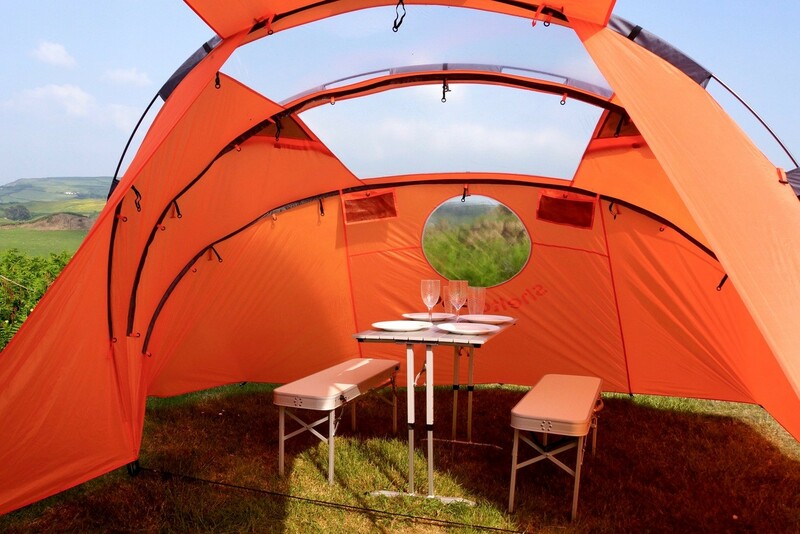 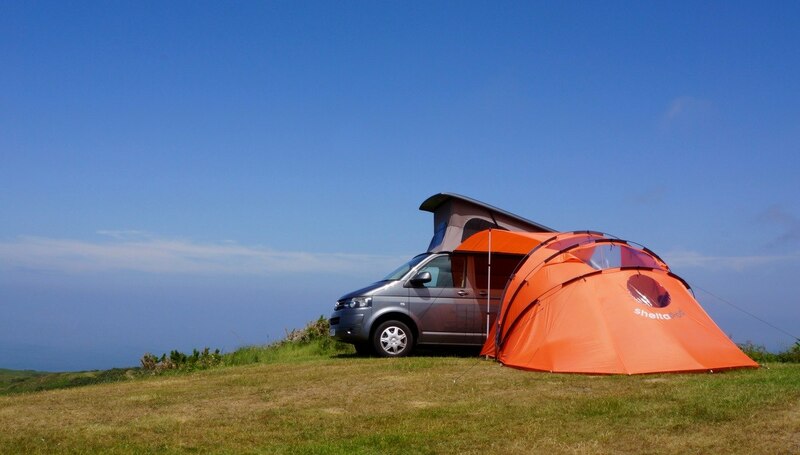 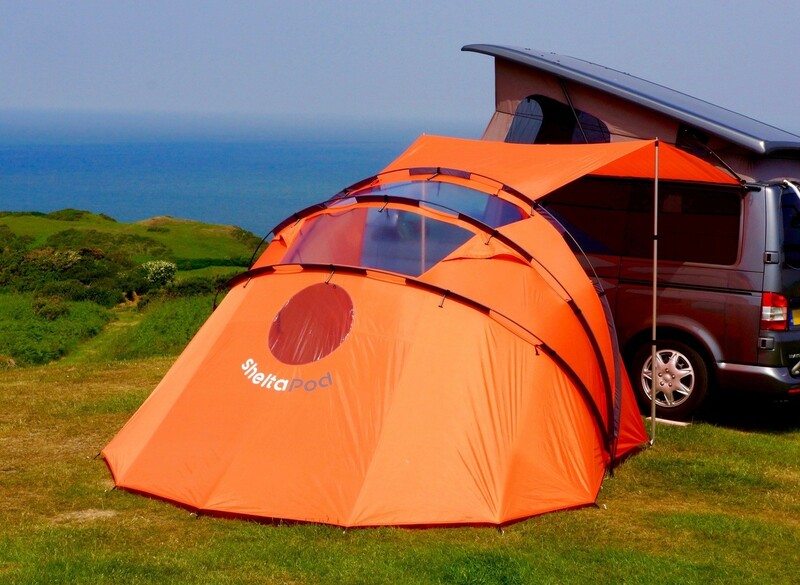 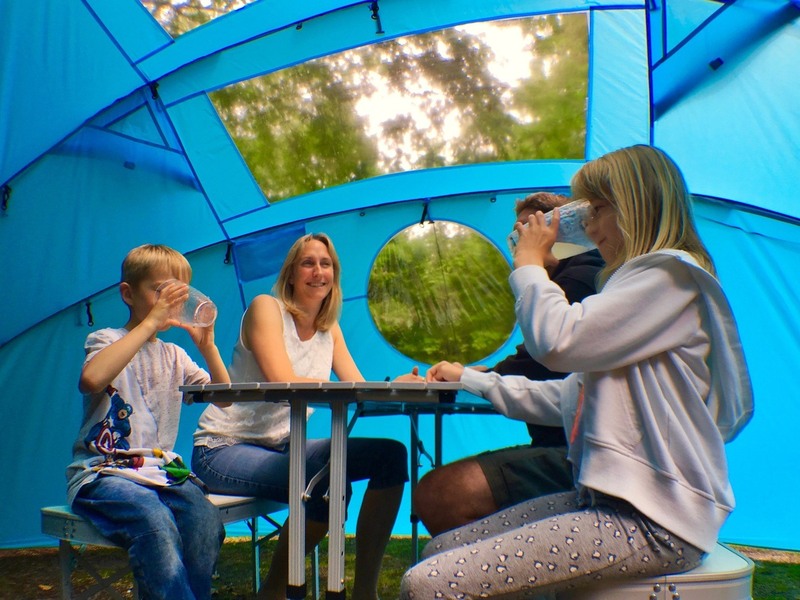 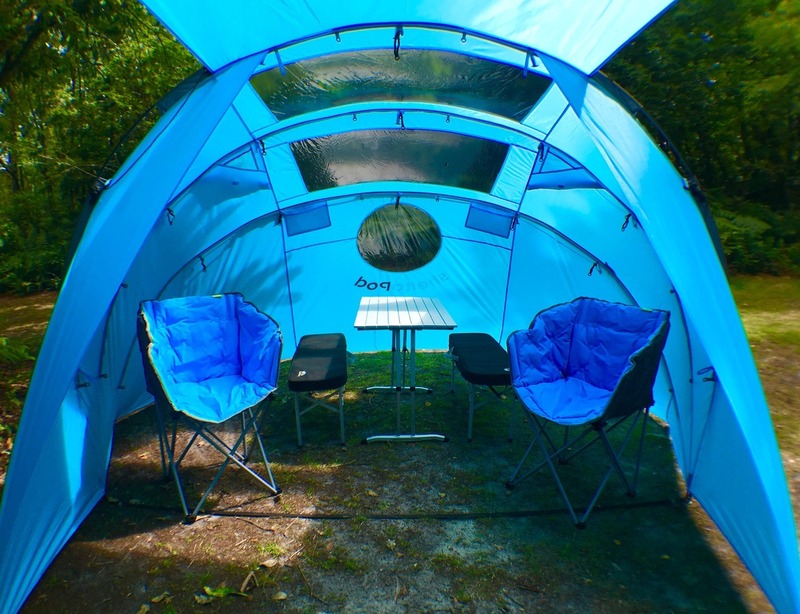 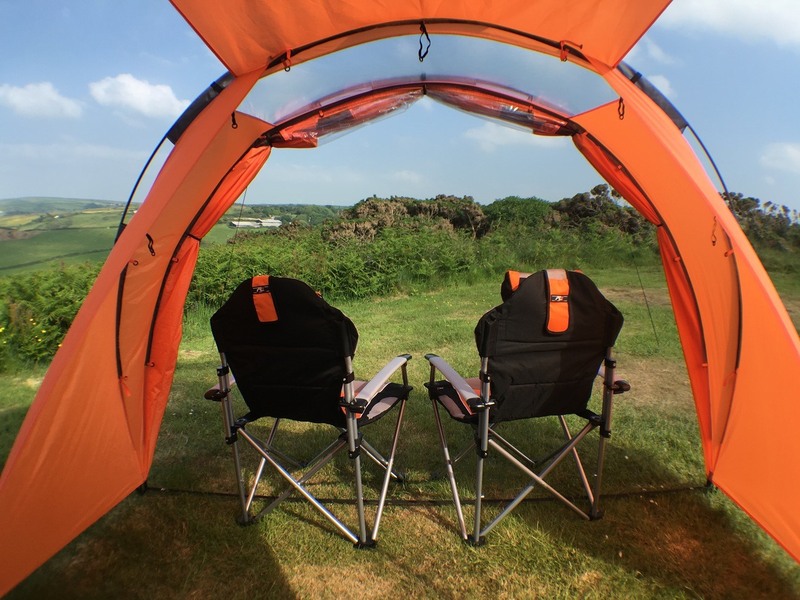 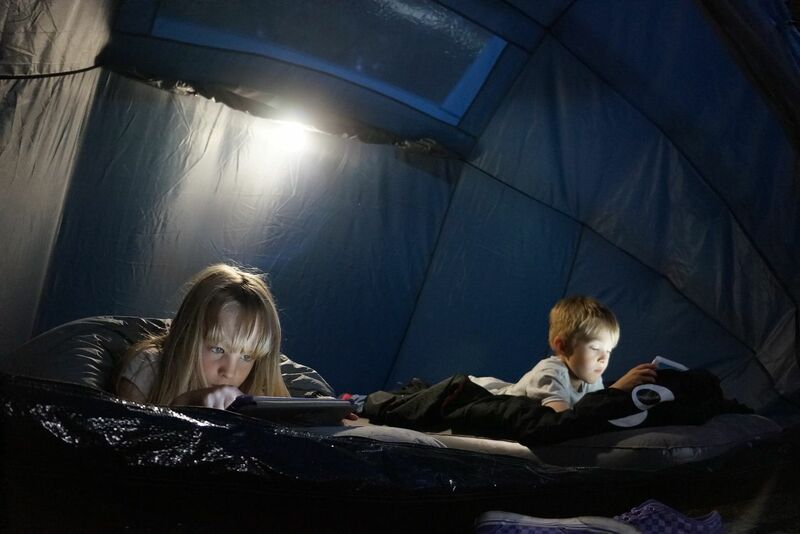 sheltaPod – the campervan awning that adapts to the weather. 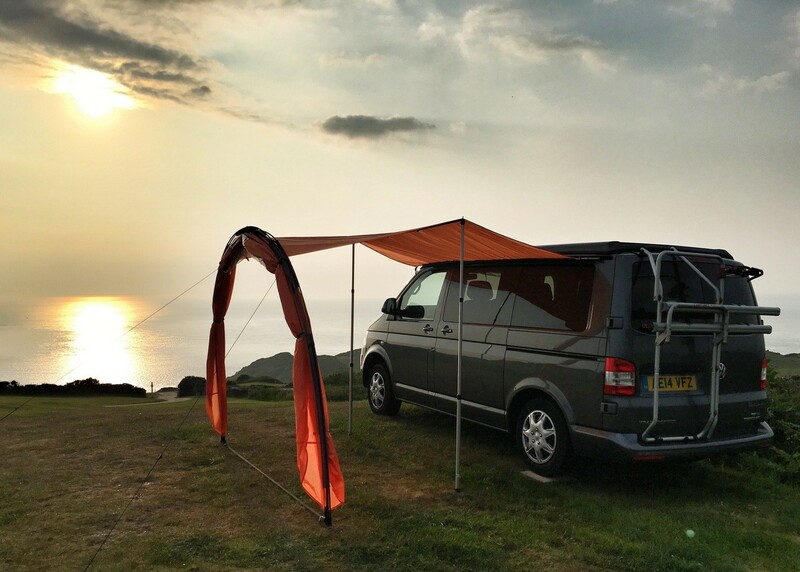 It’s unique and stylish design allows for more light and better views from inside the van. 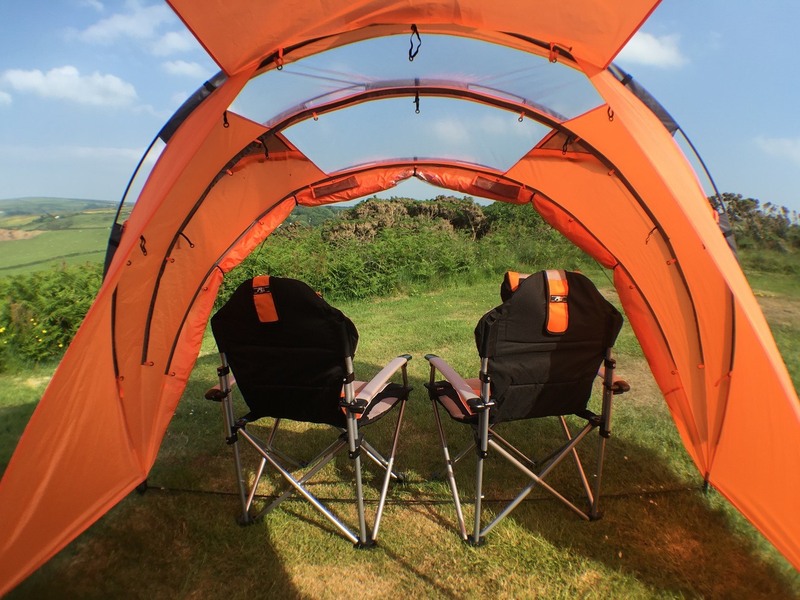 It’s quick and easy to set up, even singlehanded and packs away into a 100 x 25cm bag for easy transport. 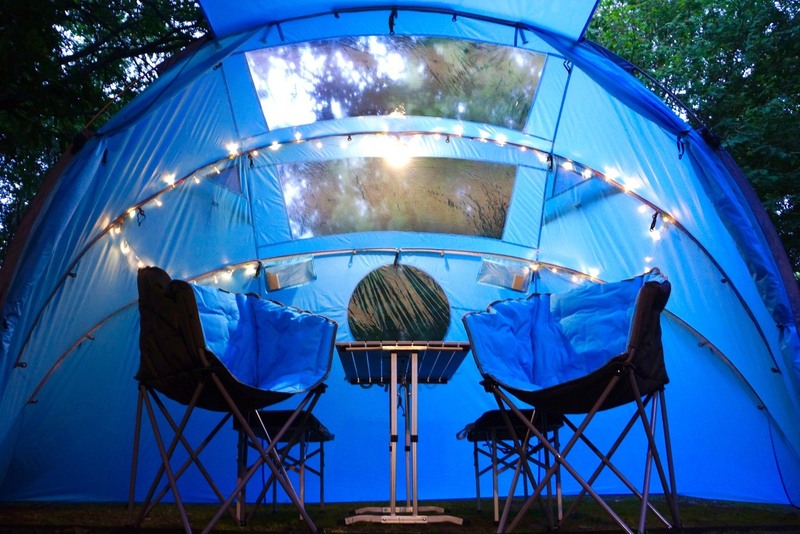 The Pod section can fold up to a simple canopy. 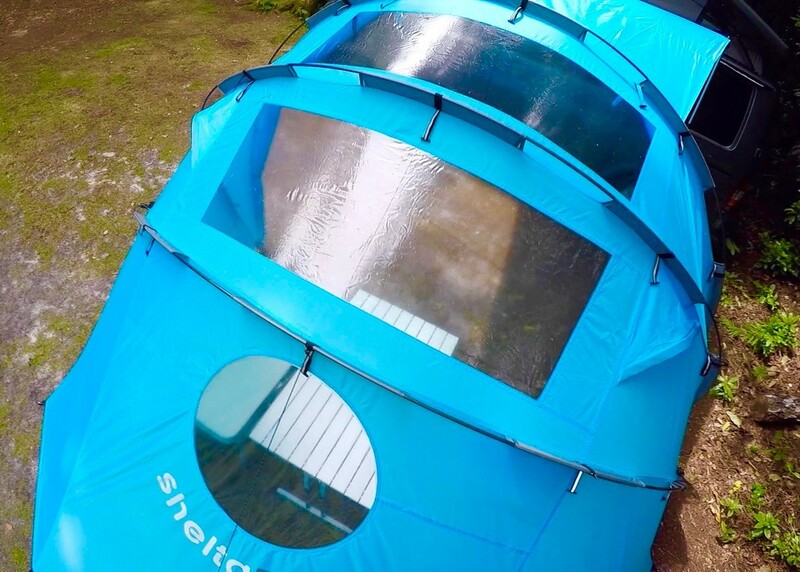 If the sun is shining you can gather up the fabric in each section and clip it to the pole sleeves. 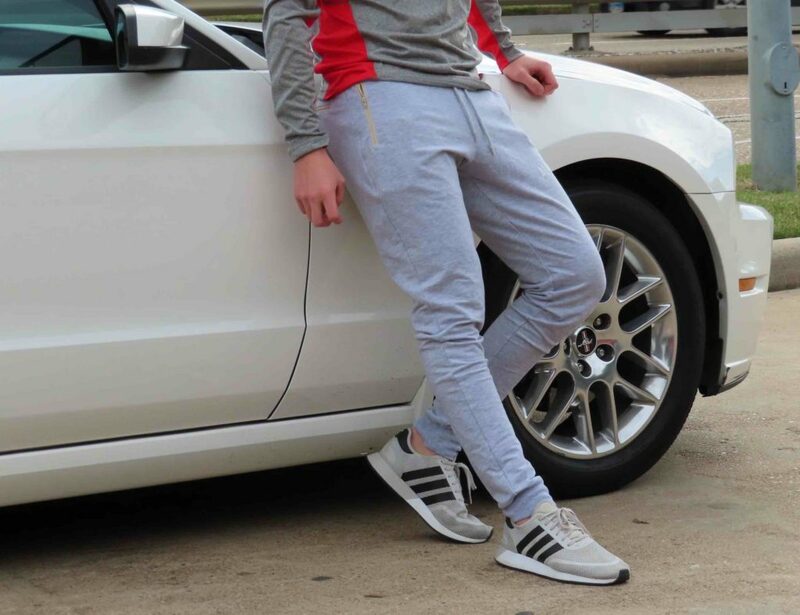 Each pole sleeve has several tiebacks and they can be clipped against each other. 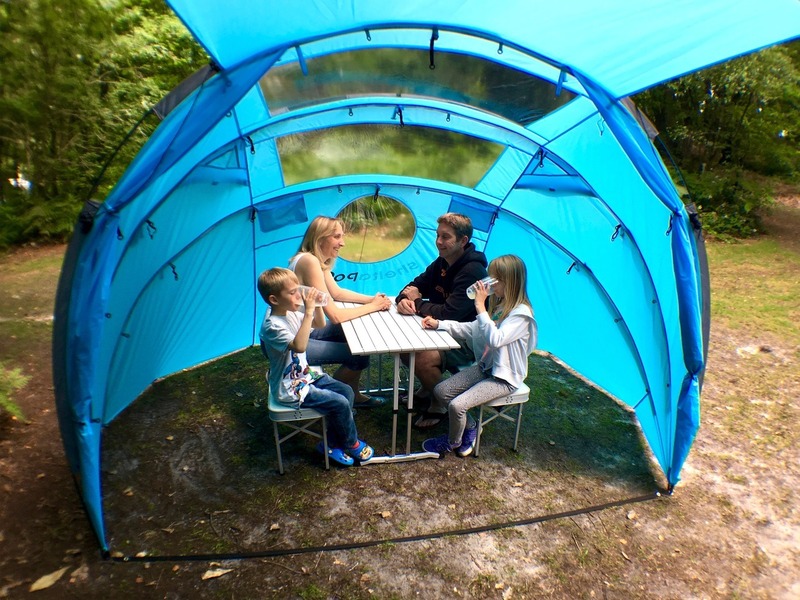 Use just the rainfly for relaxing, dining and shelter from the elements. 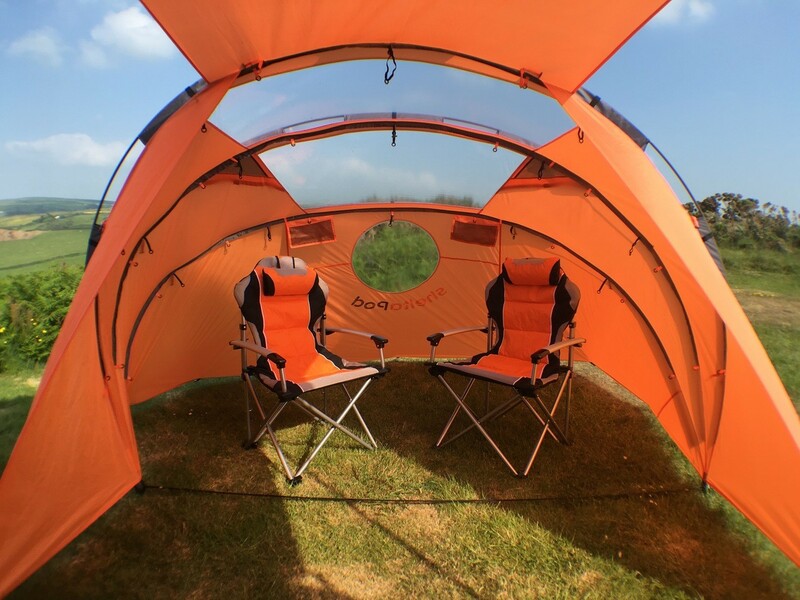 But for more comfort you can clip in the inner tent with integrated groundsheet. 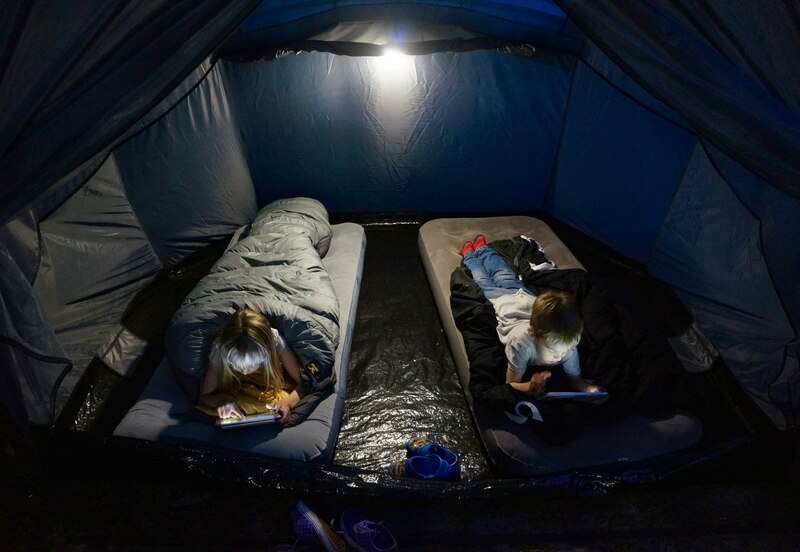 This also offers extra sleeping space. 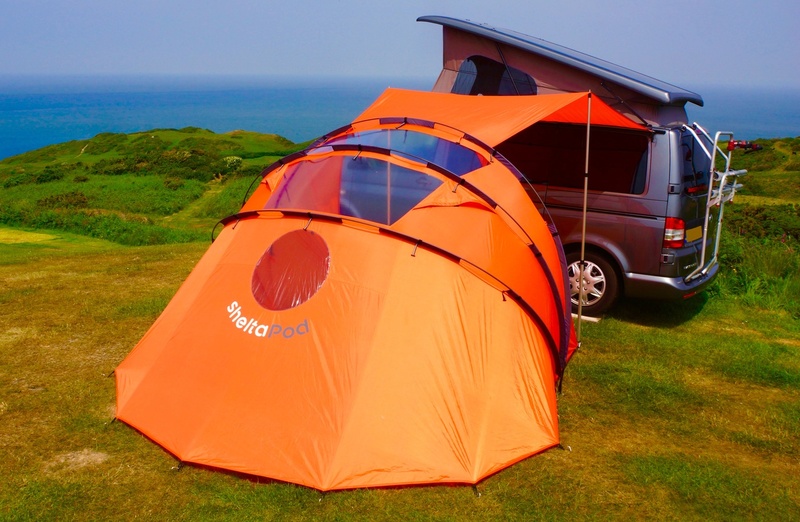 sheltaPod was originally designed for smaller campervans however it will also fit onto other vehicles that have roof rails/racks (i.e. 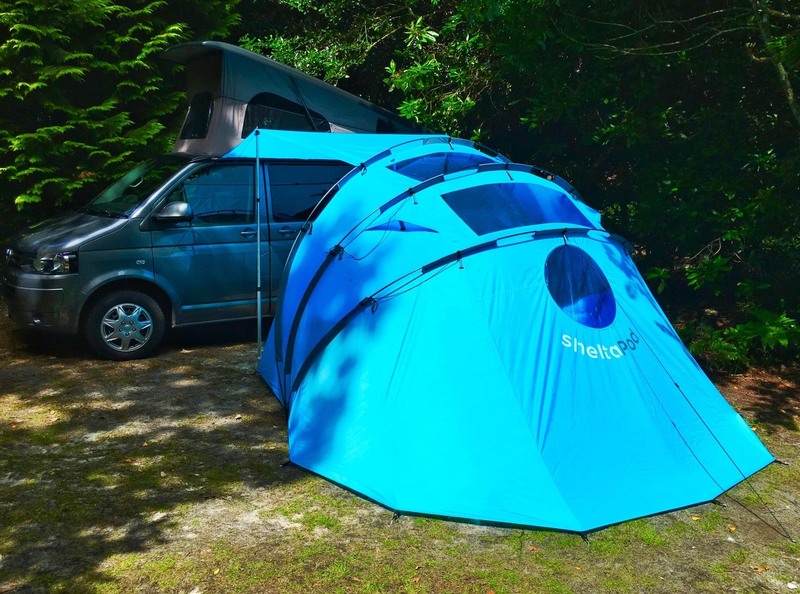 SUV’s, wagons, transit van’s etc) by using the fitted velcro/ webbing/release buckle straps.